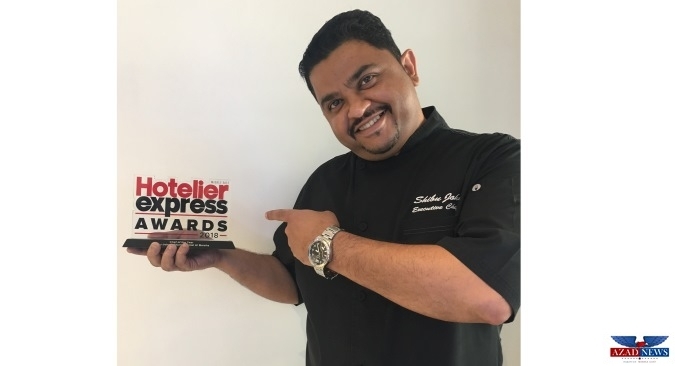 Citymax Hotels is delighted to congratulate Shibu John, Executive Chef at Citymax Hotels Al Barsha after he was named Chef of the Year at the 2018 Hotelier Express Awards. Mr. John – who works as executive chef at Citymax Al Barsha Hotel – was honoured at Grosvenor House, Dubai on Wednesday, February 28, 2018. He received the accolade thanks to an innovative approach to F&B promotions at the hotel, which has included the development of a dedicated menu for chicken wings, as well as separate promotions on items such as Indian cuisine and burgers. Mr. John has achieved other impressive feats at the mid-market property, such as increasing profit margins without lowering the quality of products, as well as boosting footfall for the hotel.